One of the best ways that we have found to reinforce math concepts is through simple game play. Our hands-on math games combine manipulatives, skill building, and fun. 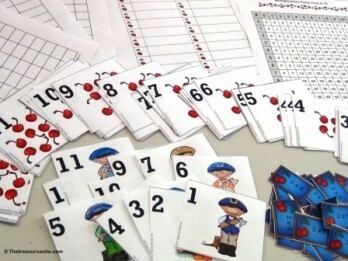 Some of our games are self-checking and are great for Montessori style learners or those who enjoy independent learning. Our goal is to design games for children that are engaging and fun to play over and over again. Repetitive play helps to solidify new math concepts for learners without them even realizing they are learning.